The Flyers are giving Chuck Fletcher a chance to produce their first Stanley Cup winner since 1975. 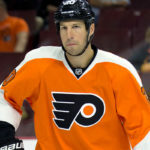 Fletcher, 51, the son of a Hall of Fame hockey executive, will be named the eighth general manager in Flyers history, The Inquirer and Daily News have learned. 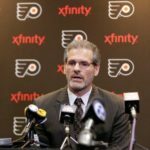 A high-ranking club official said Fletcher will replace Ron Hextall, who was stunningly fired Nov. 26 while in his fifth season as GM. Bill Zito, a Columbus assistant general manager, was believed to be the runner-up to Fletcher. A Harvard graduate, Fletcher had a mostly successful nine-year run as the Minnesota Wild GM before being fired after the team’s first-round playoff exit last season. This year, he was an adviser with the Devils, working for GM Ray Shero. He had been an assistant general manager under Shero in Pittsburgh. The Wild made six straight playoff appearances under Fletcher, but advanced to the second round only once. Fletcher is the son of Cliff Fletcher, a former Toronto, Atlanta/Calgary, and Phoenix (now Arizona) GM who went into the Hockey Hall of Fame in 2004 in the “builder” category. 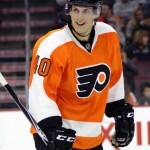 There was a disconnect between Holmgren and Hextall, the executive said. “I think Paul will have a lot more conversations with Chuck than he did with Ron,” he said. Fletcher’s family has ties to the recently fired Joel Quenneville, who coached Chicago to three Stanley Cups and is a candidate to replace Dave Hakstol if the new GM changes his coach. 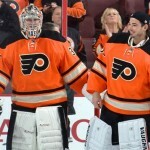 The Flyers have not won a playoffs series since 2012. It will be interesting to see how Chuck Fletcher gets this team to the next level.